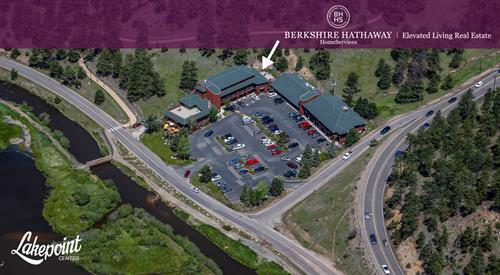 Berkshire Hathaway HomeServices Elevated Living Real Estate is a team of skilled professionals dedicated to serving the real estate industry in the magnificent foothills west of Denver, Colorado. Elevated Living agents are invested in achieving their best skill level and share in common values and vision of excellence. We are people who live in, and contribute to, the framework of our mountain community--spreading from Golden and the Denver metro area south and west through Evergreen and Conifer to Bailey. We interact with our clients every day, whether it’s in the grocery store, at our children’s soccer game, on the trails or at local events. We are dedicated to making the place in which we live and work the best that it can be – we are your friends and neighbors. At Elevated Living, we take the approach that everything matters. Everything is important. We are only as strong as our weakest link. We take great care to hire only the best agents. And by "best", we don't just mean those who make lots of sales or who bring business to our offices. When we say "best", we mean those agents who continually set higher standards for their work, to embrace innovation. We mean those who are willing to go the extra mile (and further, if necessary) for their clients and customers. We are located at Evergreen Lake. From I-70 follow Evergreen Parkway (Hwy 74) approximately 8 miles to Upper Bear Creek Road and turn right into the parking lot of Lakepoint Center.